If you have ever lived through a flood you know first-hand how devastating they can be. Not only can they destroy a home and its belongings but in the ensuing aftermath they can bring about mold, bacteria, and unsafe living conditions. It is not surprising they are the most common natural disaster in the world, accounting for billions of dollars in damage and countless claims each year. A common misconception is that if you do not live near a body of water you are not at risk of flooding. The truth is every home is at risk of being flooded! An overflowing dam, a broken sewer line, an unkempt or overwhelmed drainage system, or even a major storm can cause flooding. It can happen anytime, anywhere, to anyone with devastating results. Another misleading thought is that the Government will step in and bail you out. Think again. Unless your area is a federally declared disaster area (i.e. New Orleans and surrounding coastal towns after Hurricane Katrina hit or nearly the entire eastern seaboard after Hurricane Sandy), you could find yourself without federal, state, or often even local assistance. If you are in an area that does receive assistance, it is important to note you will have to pay back (with interest) whatever amount you receive. This assistance is not meant to compensate you for your losses, but rather, it is given out as a low interest loan to assist you with critical expenses incurred as you start the process of getting things back in order. Most alarming is that many homeowners believe that when a flood disaster occurs, their home insurance will pay for the damages. That misnomer is quickly replaced with panic as they check with their insurance company and find their insurance policy does not cover for floods. A typical home insurance policy will cover damages in case of a fire, robbery, and other incidents, but will not include flood related damages, meaning homeowners must take care of their flood losses from their own pocket. All the more reason to make sure you have a flood insurance policy on your home. 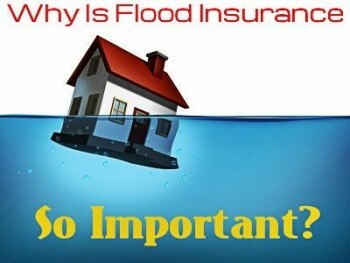 What is Flood Insurance and Why Do You Need It? The primary reason is because you live in a Special Flood Hazard Area (SFHA) that requires a mortgage from a federally regulated lender. In an SFHA, where it is likely flooding will occur while you own your home, flood insurance is mandatory. This could include oceanfront or near-ocean properties or living next to a major body of water like a big river, lake, or creek. For some of these areas, heavy rainfall can cause the body of water to swell over the banks, flooding houses and destroying properties. For others, the potential of large waves or tropical storms puts them in the highest risk category. While the allure of living near water has its advantages, there is an inherent flooding risk that consumers need to be aware of and understand. A second reason you should consider getting flood insurance is because you live in a community that benefit’s from the NFIP. The benefit is receiving flood insurance that is backed by the government. Whether you reside in a SFHA or low risk area, as your community benefits from the program, and nearly 21K communities do, it is hoped that all the residents will take advantage of the program. There are no fees to live in an NFIP community but each area is required to have a flood plain management ordinance, enforced by a local official. The official ensures the flood plain is periodically inspected and that no violations of the ordinance occur. If your community is not NFIP supported, then you would have to look for a federally supported private insurance company that offers flood insurance. Third, although they are not the most dangerous natural disaster in the world, floods are the most common, causing incredible amounts of damage around the globe every year. According to Floodsmart.gov, the cost of flooding goes up exponentially with each inch of water in a home. For example, one inch of standing water can cause nearly $21,000 worth of damage while one foot of water puts the damage over $52,000. While these are only estimates, it is clear that any amount of flooding can have serious consequences for every homeowner and property affected. When you pay for flood insurance, and your insurance policy is handed out to you, it takes a whole month (thirty days from the issued date) to take effect. So if you decide to wait until the storms come a calling before getting a policy, you will definitely be paying for your losses yourself. If you have not gotten your flood insurance policy yet, it is advisable to seriously consider it before a calamity occurs. Your flood insurance policy is dependent on how much coverage you are willing to buy. You could decide to cover both your home (the building) and the contents of your house, with the maximum limits of flood coverage for your house of $250,000 and the contents of your home with a ceiling of $100,000. The flood insurance policy pays for the estimated value of the damaged property, or the total cost of replacing your property up to the coverage limit. In addition, the cost of flood insurance may vary depending on the flood zone you live in. High risk zones usually pay a higher sum compared to the medium and low risk zones. The FEMA maps out the flood risk zones, and it is advisable to check out your address on FEMA’s flood risk zones chart to find out what zone your locality falls under. If your community has taken preemptive measures to reduce flood risks, you get as much as 45 percent off on flood insurance costs. You should meet with your insurance agent to find out what coverage and cost would be suitable for you, or you could decide to use the website calculator on the NFIP site to have an idea of the cost and the benefit. Like any other insurance policy, obtaining flood insurance should definitely put your mind at rest, especially with the unpredictability of floods and flooding occurring at a moment’s notice. As a reminder, it takes 30 days for your policy to take effect, so if you do not currently have flood insurance, it would be of great benefit to get a policy immediately. If you think you are safe because you live in a low risk area, think again. A report from FEMA says that twenty five percent of all flood insurance claims since 1978 has been from low risk zones. Every homeowner is potentially at risk, regardless where you live! Unless it is mandated to have flood insurance, many will roll the dice and opt to save those extra funds for something else. Depending on your tolerance for risk and where you live, that may be a bad gamble. For most, the results of a flood would be devastating, and the ensuing financial burden crippling…all it takes is better planning to give you peace of mind and security knowing your home is covered. Why risk it! The National Flood Insurance Program – discover everything you need to know about the National flood insurance policy. The Cost of Flooding – Measure Your Damage – how much does flooding damage cost? Flood Risk Zone Charts – See the flood risk zone charts to know your risk level. 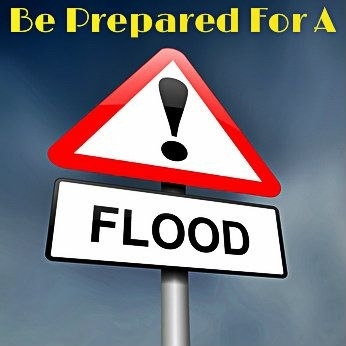 FloodSmart.gov – A great resource for finding out information on flood insurance. Disaster Assistance – Do you qualify for flood disaster assistance? I live in an area where flooding is possible – should I get renters flood insurance? Use these additional resources to understand all you need to know about flood insurance. Great article, Anita and Bill. I’ve seen many hit in our area with floods, especially with some of the hurricane. Most homeowners in our area are covered for mechanical issues (e.g. water tank bursting, losing power and sump pumps not working, etc.) and they don’t realize that flood insurance is something completely different. They often learn this after it’s too late.